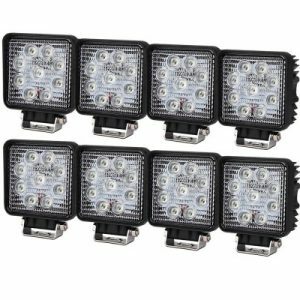 We carry a vast range of LED work Lights to suit every possible scenario. What ever your need, our vast range of work lights will suit your application. Ideal for use for Marine, Off-road & 4WD’s to Forestry and Agriculture. Other possible uses are Emergency services, Mining, Industrial and Domestic applications and ideal for Landscaping in the use of Garden and up lighting. The low current draw allows you to use as many as you need. With at least a one-year warranty, you will have peace of mind our range will not fail you.